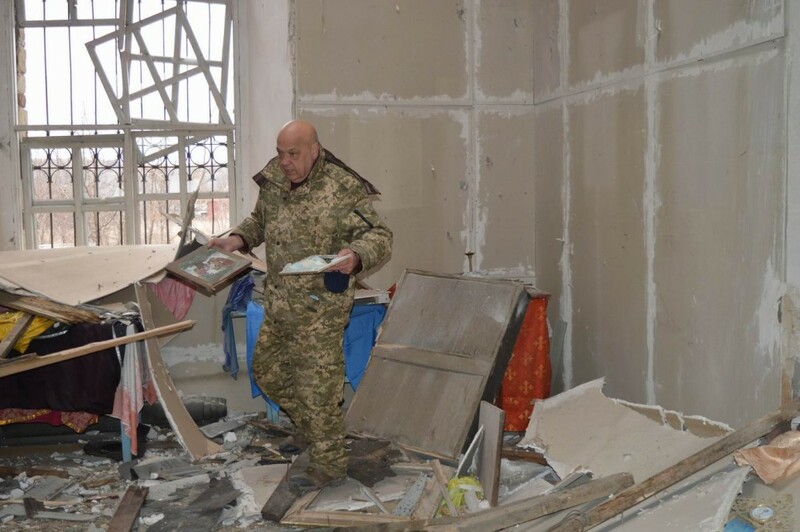 Russian militants firing Grad rockets destroyed a school and badly damaged a historic Orthodox church in the village of Troyitske, reports Henaddiy Moskal, the governor of the Luhansk Oblast State Administration, on his website. According to the governor, the village of Troyitske in the Popasna district has been under constant fire during the battles for Debaltseve. It has suffered from almost continuous shelling and several assaults by Russian separatist forces accompanied by Russian tanks and regular army units. “Most residents have left for safer areas. Right now some 300 people are living in Troyitske (during peacetime there were more than 1,000). Power lines have been torn, towers are down, retail outlets are closed, and there is no bus service. Food products are brought in only by humanitarian transports,” the statement says. According to Moskal, there was no reason to fire on the church and the school. There were no Ukrainian troops deployed here, and the nearest base was tree kilometers away.